Much of what we're told about autism gives little sense of what it's like to live comfortably, but one parent's new book is jam-packed with positive experiences. 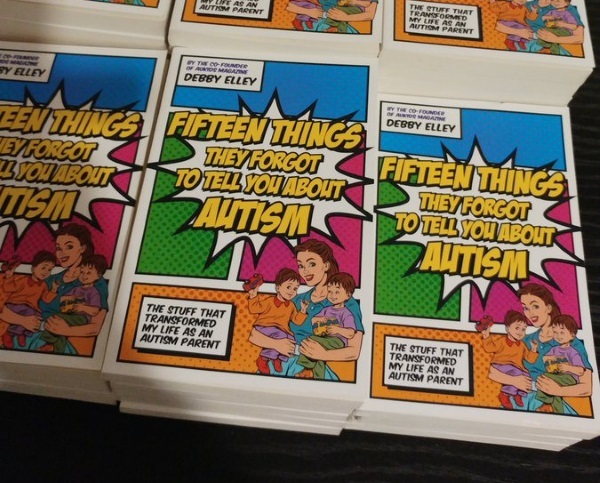 This week I was fortunate enough to be invited to the launch of Fifteen Things They Forgot to Tell You About Autism, a book written by one of our fantastic parents, Debby Elley, who has previously offered her perspective on transition. We will have a formal review of the book in the next week or so, but Debby’s speech was so powerful I’ve asked permission to share this with readers. With so many ‘bad news days’ at the moment, I thought it important to remember that some young people and families do have positive experiences. Fifteen Things They Forgot to Tell You About Autism includes a number of positive quotes from other people, but perhaps the most inspiring of them for me personally was from Martha Washington, the first First Lady of the United States. One of the most important lessons I’ve learned is that your perspective on autism – whether you have autism yourself or whether you’re a parent of someone who does – dictates everything you do. I firmly believe that if you’re comfortable with who they are, your kids will be comfortable with who they are too. 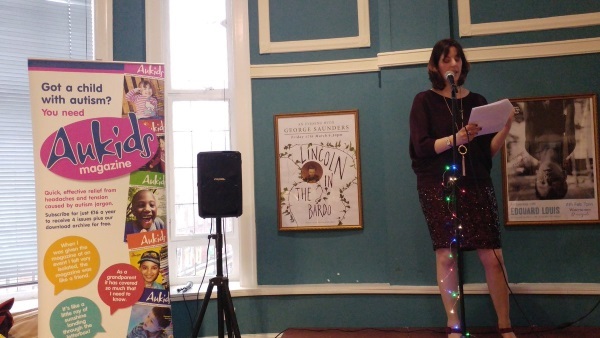 I wanted to write a book not just about autism, but about living with it comfortably. That’s because I felt that the focus in the books that I’d read was mainly about intervention strategies rather than about a parent’s state of mind – which to me is equally important. I saw an opportunity here to combine writing about the funny side of my own experiences with practical advice and a little bit of positive psychology. So this book is a mish mash of survival tools, ones that have worked for me and my own family. When we first knew that our twins had autism, I found myself with three year old boys and a load of oppressive, daunting and dull material to read on the subject of autism. It didn’t immediately strike me that my informal style of writing could make this sort of advice more accessible. Instead my friend Tori Houghton, our speech and language therapist at the time, recognised that I was once a journalist and saw a gap for something new. She reckoned that we could fill it with our own autism parenting magazine – something that would allow parents to share information. That’s how AuKids magazine started, and I’m happy to say that we mark the magazine’s tenth anniversary this July. That’s the back story to the book, because without AuKids, there would be no Fifteen Things… – it gave me credibility as an author. The second reason for writing the book was to question some of the ways in which we’ve traditionally explained autism to other people. There’s an awful lot about autism that is explained poorly, negatively or not at all. This isn’t some malicious conspiracy. It’s borne of a legacy, the legacy of early messages about autism that people haven’t yet changed. The question I asked myself as I wrote the book was: how can we expect our wider society to understand autism when we haven’t yet found clear ways of explaining it even to ourselves? There are invisible messages sewn up in the words ‘disorder’ and ‘impairment’. They’ve been used for so long that people don’t see them anymore, or realise the effect that they have on a parent’s ability to face the future positively. I have travelled from being someone at the receiving end of those messages to a parent who questions them. There was anger in me when I eventually discovered that I could have fared a lot better had things been explained to me in a clearer way earlier. This book was a way of putting that right for other people. Thirdly, I wanted to use my experiences over the last ten years to help other parents in a practical way, because there’s nothing quite like someone saying ‘trust me, it works’ to convince you that a strategy is worth pursuing. Some of my approaches have worked only after years of consistency and I hope I prove to parents that it is worth your effort, your patience and most importantly, your faith. This book is designed to give other people the benefit of my hindsight. In fact, it probably should have been called Here’s Two I Did Earlier. But as those of you who have lived through this process with me will recall, it took about 50,000 attempts to get the title right. Straight after it went to publication, my son Bobby asked, ‘Have you done your book Fifteen Things You Totally Missed About Autism?’ and I realised that he’d given it a better title. I don’t pretend to be an expert. Through co-editing AuKids I’ve been lucky enough to have access to a vast network of experts, and putting their advice into practice has given me the basis for a lot of my practical suggestions in this book. There is another theme that runs through this book, and I’ll just tell you a quick story that sums it up. I have two older brothers. When we were kids, my brother Dan was a member of the school’s debating society. He used to rehearse his speeches, with me as the only audience member. I would clap enthusiastically because I was only about 13, his biggest fan and I didn’t know what he was going on about half the time. One talk that did stick with me though, was an important and heartfelt attack on fitting in. Dan’s side of this debate was in favour of the motion ‘I’d rather be eccentric than trendy’. I was rather impressionable at the time and I liked this speech very much. Anyway, it was 1984 and what was considered trendy at the time was definitely debatable. Bobby reminded me of Dan’s debate and I realised then and there that he was right. I needed to place a much higher value on not fitting in and not place my own insecurities ahead of my son’s need to be himself. Your brain is just built that way. As parents we can run a huge risk of just wanting to help our kids to blend in and be invisible, because we don’t want them to be considered eccentric, we don’t want them to be picked on, we want them to be accepted and liked. But if we’re to benefit from a generation of autistic adults who are able to reach the heights of their capabilities, we have to value the differences brought to them by their autism. We talk about acceptance of autism in society as if it’s something that happens outside ourselves. Society is simply our collective conscience… and as parents we have a job to do in stirring that conscience by championing our non-conformist kids with confidence – getting them out there for people to get to know and unapologetically stating yes, they are different and yes, they have different needs. Ultimately this book is about parents and kids being willing to bridge the gap between two very different types of brain and respecting the differences in each other. This text was adapted from a speech Debby gave at the launch of her book, Fifteen Things They Forgot to Tell You About Autism.